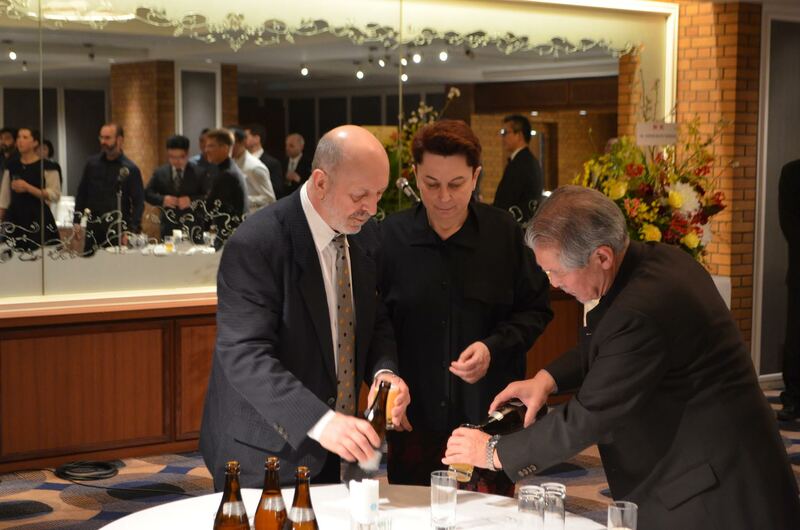 Didier Boyet Shihan; his partner, Agnès Disson, and Miyamoto Shihan at the 7th dan celebration. 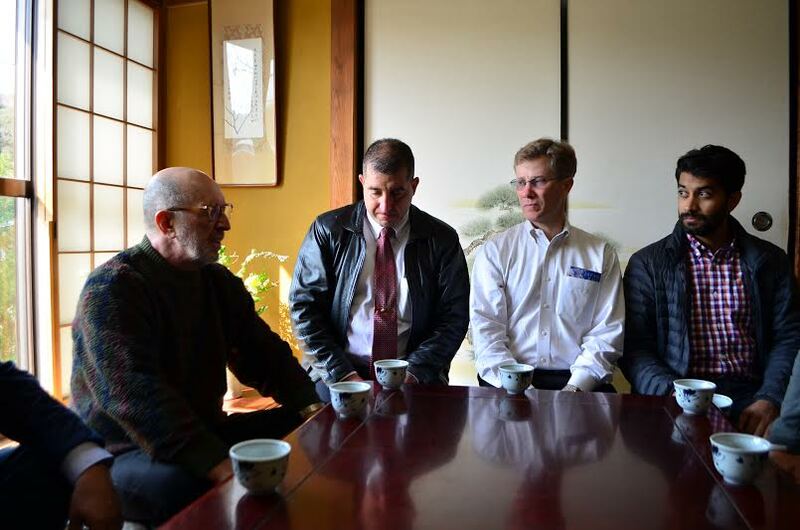 TOKYO – A group of Birankai North America teachers arrived in Japan last week for a visit with a two-fold purpose. First, we planned to attend the celebration of the promotion of Didier Boyet Shihan to 7th dan. 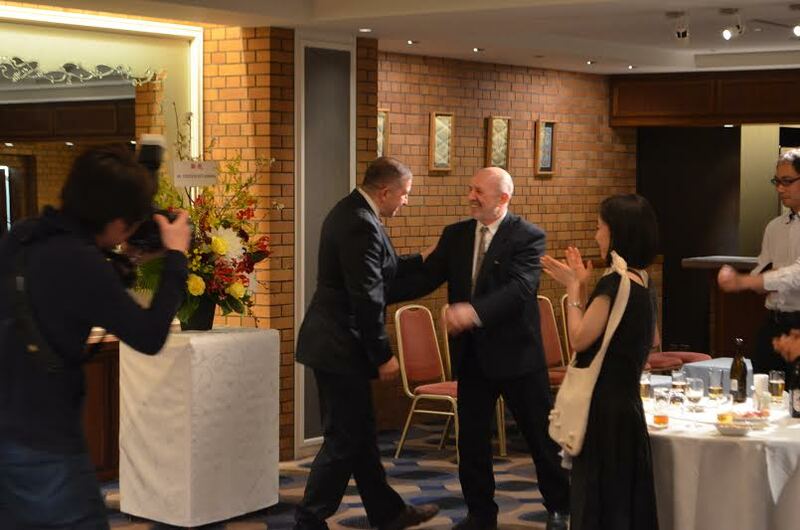 This joyful event, which took place on Sunday, honored the training and achievements of a longtime student of Chiba Sensei, a wonderful teacher and a very close friend of Birankai. Hosted by Miyamoto Sensei of Hombu Dojo, the celebration was held in a large ballroom with many students, teachers and friends from around the world. We shared in the memories of Boyet Sensei’s many years of adventurous training with Chiba Sensei and many of the other legends of Aikido. Representing Birankai North America, our group also had the opportunity to publicly honor Boyet Sensei’s generosity and success. Birankai President Alex Peterson and Boyet Shihan. when our nation was born, Boyet Sensei has been the first friend of Birankai North America. His acerbic wit and Gallic pride have always been balanced by his incredible generosity and shared knowledge. Whenever Birankai N. A. teachers or students have needed assistance, advice or support, whether in their training or travels to Japan, Boyet Shihan has unselfishly responded. The evening was a joyful celebration of a committed martial artist. We anticipate many future years of mutual connection and support with this beloved teacher. founder, T. K. Chiba Sensei. Guided by Boyet Sensei, senior teachers of Birankai N. A. were able to quietly attend to and gently honor the resting place of Sensei. It was a beautiful, cool, sunny spring day with cherry blossoms beginning their bloom. The temple and grounds were slowly awakening to spring with flowers, calling birds and the laughter of children. 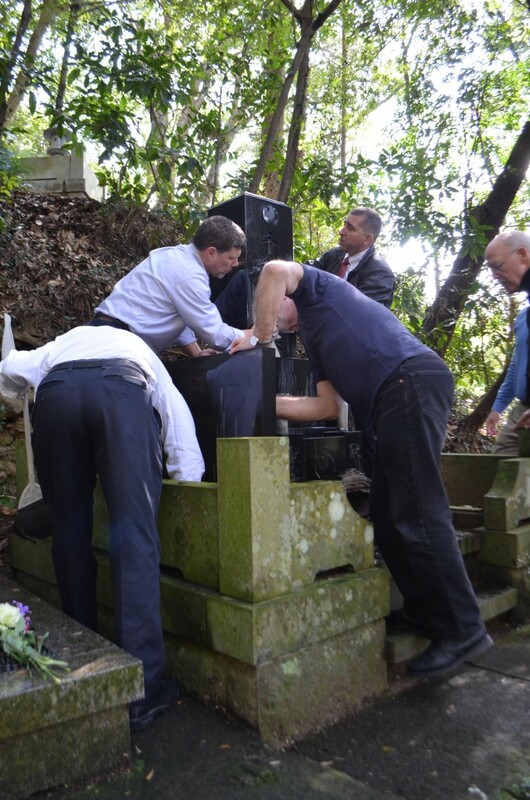 Teachers and students together, quietly cleaning and honoring the family gravesite, paying respects at the shrine and then sharing tea and memories together with the attending monk (the son of a long-time dear friend of Sensei). It was a melancholy pilgrimage steeped in compassionate remembrance and renewed devotion to the training we each share. We hope that all of Sensei’s students may have such an opportunity. While our trip will continue, these moments highlight the community that our training has forged. We hope you enjoy the photos and look forward to training with each of you very soon at Summer Camp in Queens, New York. See you on the mat! 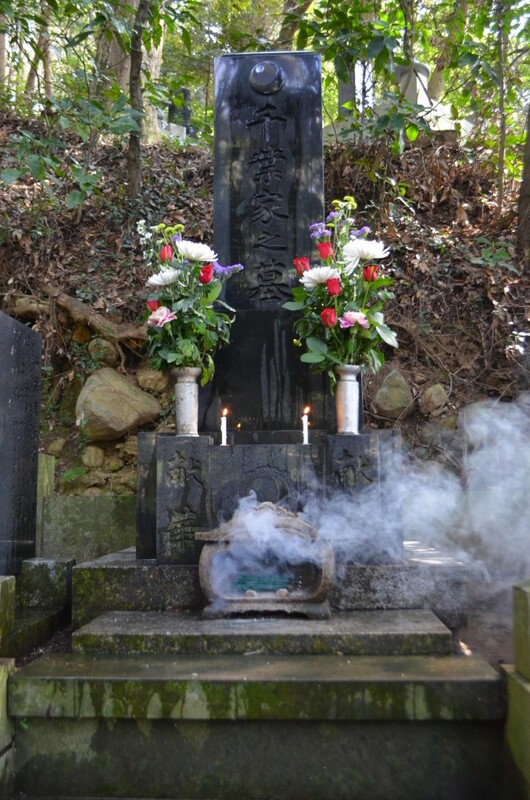 Birankai teachers clean Chiba Sensei’s gravesite. 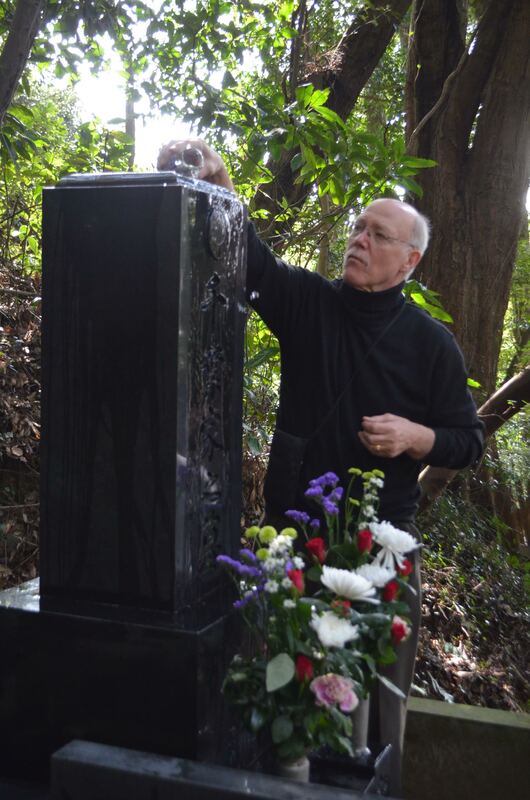 Darrell Bluhm Shihan pours sake on the memorial stone. Sharing memories at Chogengi Temple, site of Chiba Sensei’s grave. 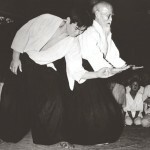 What does it mean to practice his Aikido? What is his significance in the larger history of the art? Many of us have our own answers to these questions, but with our community spread out across the world, now seems like a good time to bring our stories together. The main building block of the book will be interviews – my list is already hundreds of names long. I am trying to talk at length with everyone I can, inside and outside of Birankai, at summer camp, by phone, by email, at seminars, wherever and whenever. Don’t worry if I haven’t contacted you yet – I’ll get to you soon! I will be traveling to Japan (later this month) and the U.K. in the coming year to visit important locations and conduct interviews. 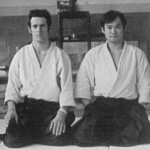 Mick Holloway and Chiba Sensei in England, 1973. What you can do right now is send me videos, photos and any other material you might have that might be of interest. 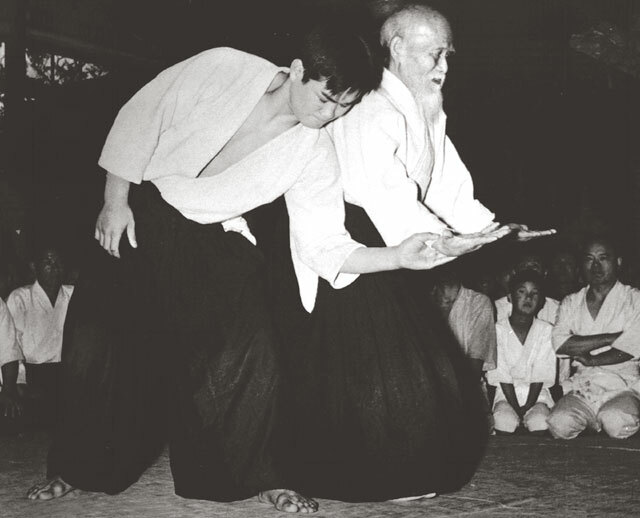 Especially early video and photos of Aikido and other events in Japan, the U.K. and San Diego. Also vitally important to this history are letters from Chiba Sensei that contain material that may be of interest to the larger community. For example, the incredible letter from Chiba Sensei that we published in Biran a few years ago on the subject of failing a test. (Names and personal details in letters can be redacted.) Please scan original photos and letters and send them to me with your contact information. My email address is liese.klein@gmail.com; I can set up or share Dropbox folders for larger files. 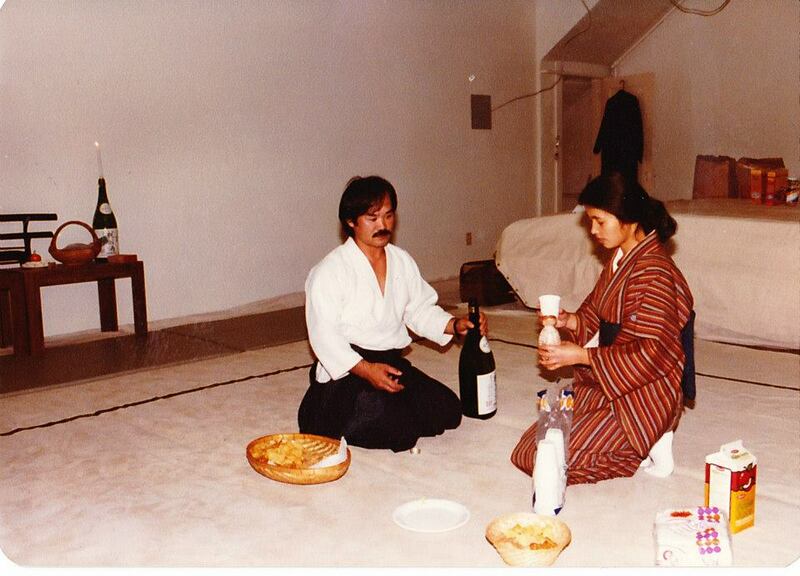 Chiba Sensei and Mrs. Chiba in 1981 in San Diego. A sincere thank-you to the Birankai North America Senior Council and officers who have helped get this project off the ground. 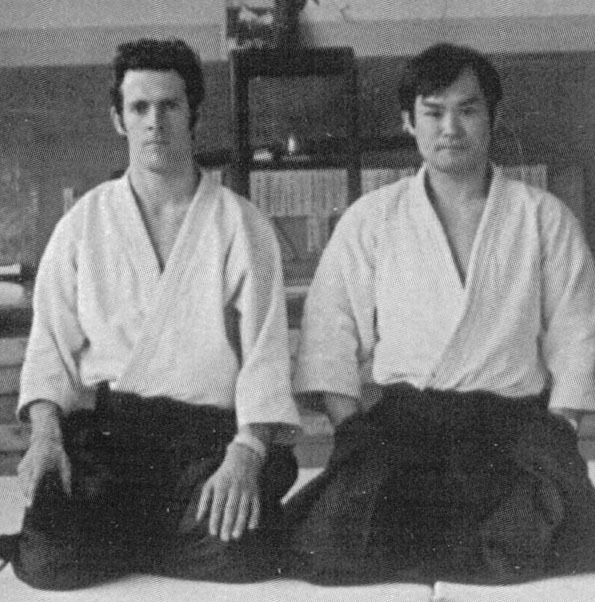 My hope is that the book will be an important link from our past to our future, a resource for students of Aikido in the decades and centuries to come.